This can be made simpler than it looks. Get this basic list of things you need and start asking for used items from your friends for the good-to-haves! If buying new, get it earlier to air it. The first few months should be spent close to the baby, so you may not need that nursery room. However, be aware that all painting should be completed at least a few weeks before the baby stays in the room as the fumes from paint can be toxic. Take into consideration your budget, space and getting a crib that can be modified as your child grows. Breast pump, milk bottles, formula milk (optional), sterilizing unit are usually what you would need when the baby is only drinking milk. If your budget allows, you may want to choose a breast pump that is automated and pumps both breasts at the same time. Pacifier can be bought on standby but it is not necessary to use. 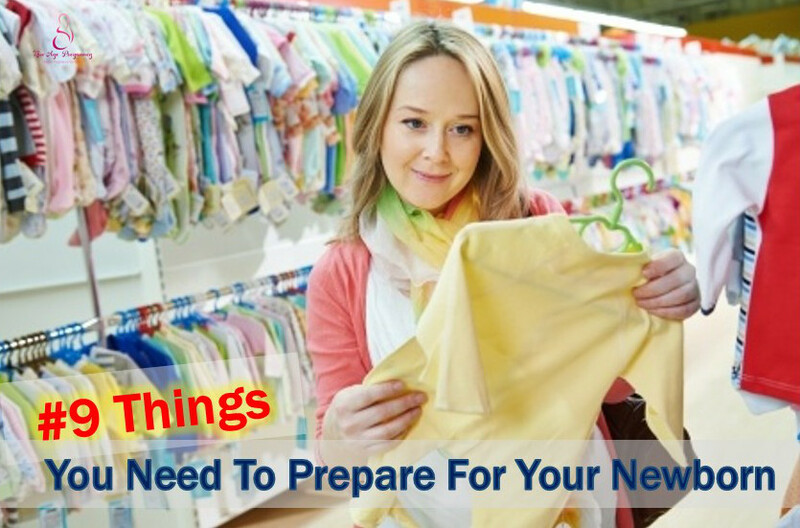 Baby grows very quickly, so take as much hand-me-downs as you can instead of buying new ones. All new clothes should be washed first before wearing and if you are concerned with detergent, wash the clothes twice or choose a longer cycle. Mittens are very helpful to prevent scratching. There are a few options for diapers but disposable is the easiest. Whenever possible, air the baby’s bottom to prevent the urine from contacting the sensitive baby skin for too long. Wet wipes are convenient but be mindful not to use it on your baby’s face. You may want to consider having a chair for the baby; it can be the simple net over metal frame type to very sophisticated one which has motion and music. Choose one that fits your need. If you have a car, choosing the type that can double-up as a car seat increases the likelihood that your baby is still sleeping when you’re on the go as babies tend to fall asleep in the car. If you will be transporting the stroller on public transport, choose one that is collapsible and light. This is a MUST. Choose one appropriate for a newborn which is backward facing. There are car seats that can be modified as the child grows older too. Spend time to ensure that you are strapping the car seat to the car properly, it’s not just for show for the traffic police! This is useful as all babies like to feel close to their parents. Choose one that both you and your spouse can wear comfortably and is suited for your baby’s age. Be careful that your baby has breathing room in the sling. Certain items to have in the kit are nail clippers, thermometer and sterilized wipes. These are basic items to get contributed from our experienced mums. Share with us your thoughts and views below! 7 Things You Should Know Before Starting IVF! What You Need To Know If You Are Giving Birth In Your 40s!